Qatar – What if Qatar loses the World Cup? 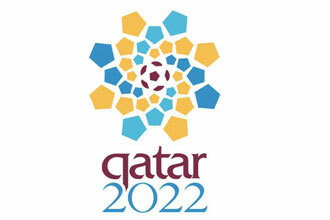 After the start of the World Cup 2014 in Brasil there is an increasingly uncertainty over Qatar’s hosting of the FIFA 2022 World Cup. Although the BMI’s baseline scenario assumes that the event will go ahead in Qatar as planned,there can be made an analyse on the impact of a cancellation would have on the country’s economy. Qatar’s hosting of the FIFA 2022 World Cup has become more uncertain since the start of June 2014, posing a clear downside risk to the country’s long-term economic trajectory. Following allegations by a British newspaper that payments were made to football officials in return for support for Qatar’s bid to stage the event, several high-ranking FIFA figures have expressed support for a rerun of the vote – a move that would effectively strip Doha of the hosting rights. Although for now the baseline scenario assumes that the World Cup will go ahead in Qatar as planned, I will have a look here at the impact of a cancellation on the Qatari economy. International support towards Qatar’s hosting of the World Cup had already begun to wane since the start of 2013, as doubts re-emerged over the country’s ability to hold the tournament during the hot summer season. FIFA’s head Sepp Blatter stated in September 2013 that awarding the World Cup to Qatar might have been a “mistake”, and the organisation has set up a taskforce to look at alternative dates in the winter season. The poor conditions faced by migrant workers in Qatar and the government’s reluctance to reform its controversial labour sponsorship system have added another source of controversy. Losing the rights to the World Cup would certainly have a negative impact on Qatar’s economic growth trajectory over the coming years. At present, the BMI’s baseline scenario sees average annual real GDP growth of 5.8% between 2014 and 2022, largely revolving around the performance of the non-hydrocarbon sector. Strong population growth and progress on the government’s large-scale infrastructure programme will drive both construction activity and the sustained expansion of the services sector. Bolstered by demand for migrant workers in preparation for the World Cup, the resident population reached a record high of 2.17mn in May 2014. Only approximately 225,000 are native Qataris. Without the World Cup, growth would be hit on three fronts: the direct impact of slower construction activity; weaker momentum in other sectors associated with the event, such as retail, hospitality, and transportation; and the more intangible costs resulting from damage to Qatar’s international reputation. In the Twente region the construction sector is very strong. As there is already a long time crisis in the Netherlands in the construction branche opportunities accross the border are welcome. Also the World Cup in Quatar can be one of these changes. But if the World Cup is cancelled in Quatar it will take place in another country so therefore the consequences for Quatar is higher than for the export changes in the Twente Region. The regime hopes to use the World Cup to present the country as a regional hub of culture, sports, education, and finance. As with Dubai, the authorities have invested heavily to turn Qatar into a brand, with the aim of diversifying the economy away from hydrocarbon production and into new knowledge-based sectors. Beyond the World Cup, Qatar is also planning the construction of multiple museums and an ‘Education City’ on the outskirts of Doha, and has made a bid to host the 2024 Olympics. Yet this emphasis on soft power and reputation-dependent industries means that any damage to Qatar’s image could have long-term implications on the success of the government’s economic diversification strategy. The loss of the World Cup would be a high-profile failure that could spark cynicism towards Qatari brands (most notably television network Al Jazeera and national carrier Qatar Airways), or reluctance to offer Doha the opportunity to host further international events. Dubai would be the primary beneficiary of its neighbour’ troubles, as it competes directly with Doha in most fields.